Looking to bring some extra relaxation with you to the beach? We have a full selection of high-quality beach chairs and umbrellas that will brighten your beach day even more. Why bother getting covered in sand or let the summer sun get the best of you, when you can stay cool and comfortable in the shade of your own personal umbrella and chair. 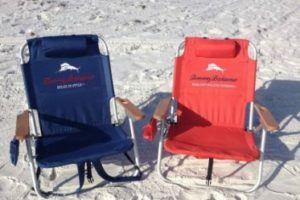 Come and relax at the beach with one of our high quality Tommy Bahama Deluxe Beach Chairs! 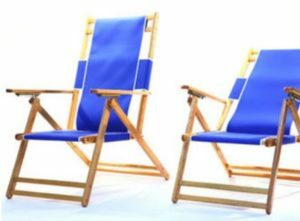 Take relaxing to the next level with our high-quality adjustable oak beach chairs. Perfect for a lazy day at the beach! 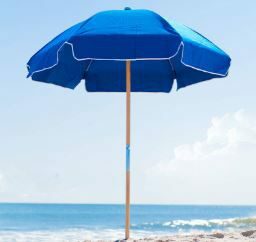 Keep yourself cool and shielded from the sun with our quality 8′ beach umbrella with included beach umbrella anchor! 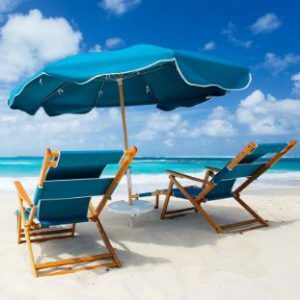 The ultimate beach day in one package: two premium adjustable oak beach chairs and an eight foot ultimate umbrella with anchor will help keep you cool and in total relaxation!